In the beginning there was only darkness. . . . There was fire and ice. . . . There was a single drop of milk. 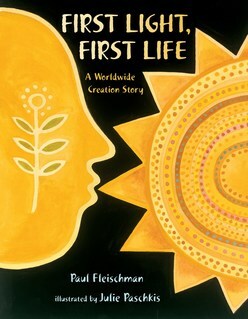 Combining elements of the creation story from different traditions, this narrative weaves together one complete picture of how the world began. It is a celebration of the many and varied peoples of the earth, of their commonalities and their differences. It is a celebration of life.